Caliber Appliances is the collaborative effort of Randy Rummel and Dan Nichols. Both are seasoned veterans of the appliance industry and have been developing superior products that cover commercial and residential designs. The Caliber Pro Kamado is the the most versatile grill to fuel your culinary creativity! The Kamado charcoal grill is all you need to create an amazing feast for family and friends any day of the week. 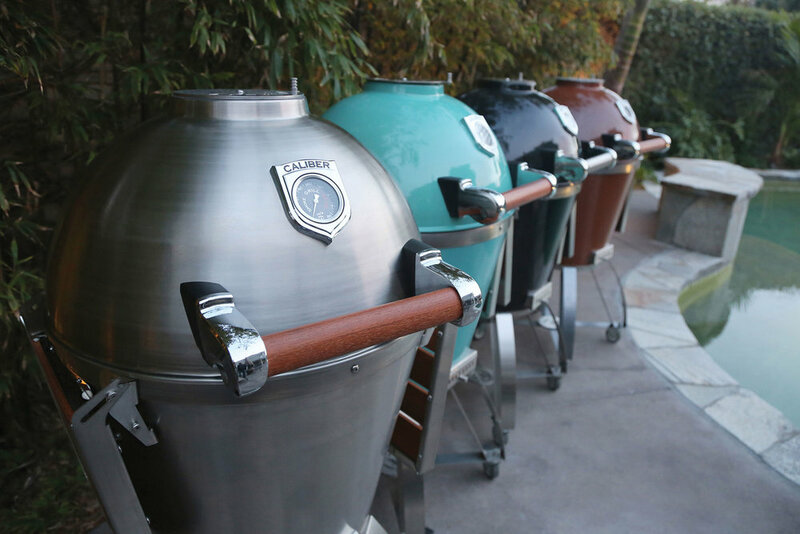 The Kamado can Grill, Smoke, Bake and even Rotisserie. Just the right size for everyday rotisserie cooking, the integrated Blaze Basket™ rotisserie system produces flavor like you’ve only dreamed of before.